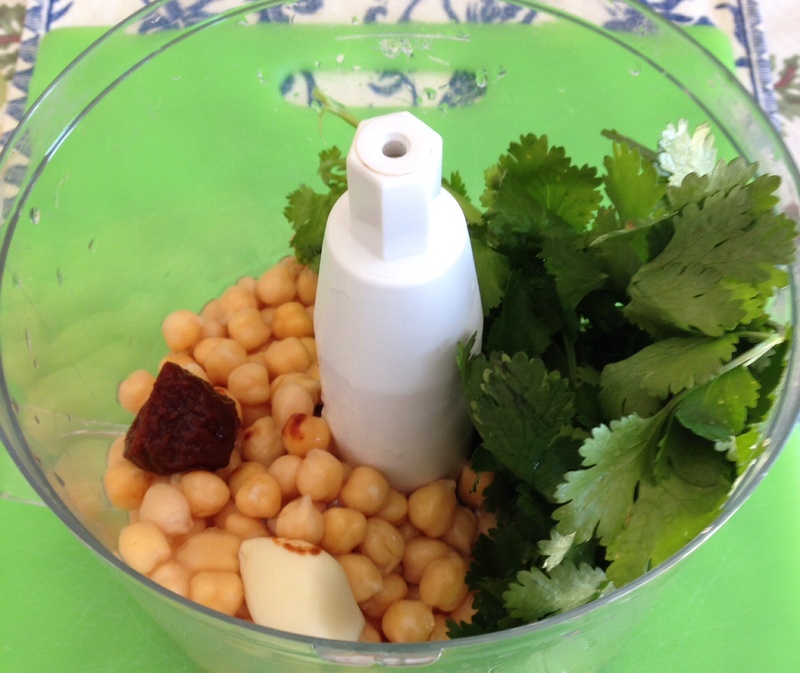 Cilantro Chipotle Hummus – What's for dinner, Doc? CSA's, Healthy Eating, Recipes, What's in the box? This 5 ingredient hummus is fat-free and flavor packed. It would be a great addition to a summer cocktail party with the girls. Serve with toasted flour tortilla chips or pita chips. I think a light summer cocktail of sparkling pink lemonade or Prosecco would go nicely. 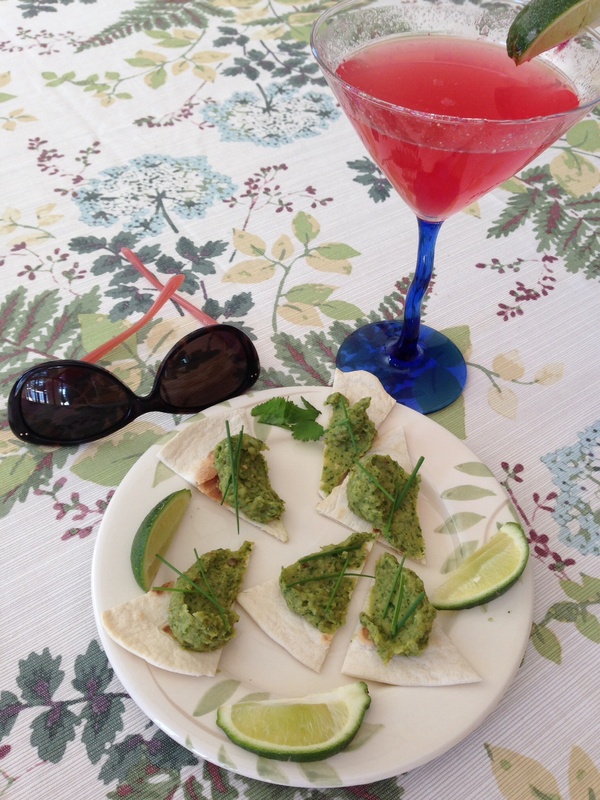 My recipe was inspired by the Cilantro Jalapeño hummus at Pita Jungle in Mesa, Arizona. Hummus is a great snack food in every form but I wanted a fat-free version. 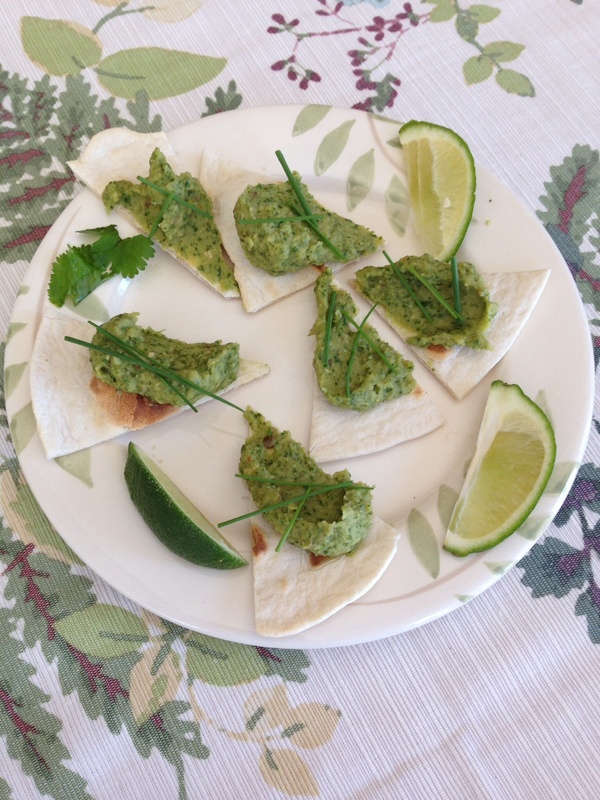 The cilantro gives this hummus moisture and a smooth texture without having to add tahini or olive oil. The chipotle gives it mild heat and smokey flavor. Feel free to add more chipotle if you want to turn up the heat. I used canned low sodium chickpeas but freshly boiled chickpeas would be even more delicious. Combine all ingredients in a food processor and whirl until the desired consistency. Adjust by adding more pepper or a dash of salt or more lime. Serve immediately on fresh toasted cut up tortillas or as a dip for crudités. Serving size is 1/4 cup of hummus. A small flour tortilla would add 130 kcal and 2 weight watchers points. Carrot sticks would add only a few calories. Trace- This looks great – making it tonight! Pingback: South Beach Diet Menu, Phase 1 – What's for dinner, Doc?